The actual release date: Almost all gadget-wise and techies around the world are peeping through the Samsung window to know the exact date and time. The fact is even before the briefing in Berlin, the company has already sent a lot of shipping of the said product. This is the year and the moment that everyone have been waiting for. 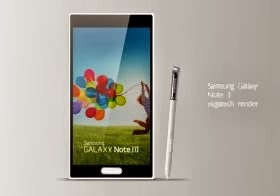 And Samsung Galaxy Note 3 will come to town on Sept. 4. It costs a pretty penny:Well, this is something that might make you a little down and decrease the level of your serotonin. Since the gadget is new, it is quite expensive and only those who have the capacity to buy can enjoy it. Maybe you have to wait for months or even a year or two to decrease its amount. That will cost you a lot of time whining and wishing. A hiatus on accessories and customization: One of the challenges that you will undergo with once you already have this gadget is that you will have to wait for the time when all the necessary accessories are available and out in the market. This is true with customization as well. So, be contented with its default build up. Android issues: Jelly Bean 4.3 is a nightmare to different Android users and this may include the said gadget. The good thing about this gadget is that because of the release date, there will be an ample amount of time given to Google and Samsung to fix the possible errors caused by bugs in the near future.